Spiegel & Grau, 9780812994117, 320pp. 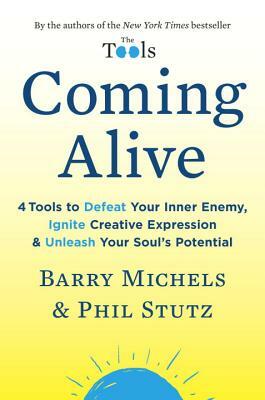 Barry Michels and Phil Stutz are the New York Times bestselling authors of The Tools and the resident therapists on Goop. They have appeared on Nightline, Charlie Rose, and The Dr. Oz Show and have been featured in such print and online publications as The New Yorker, Time, Psychology Today, and Vanity Fair. Michels, a psychotherapist, has a BA from Harvard, a law degree from the University of California, Berkeley, and an MSW from the University of Southern California. Stutz, a psychiatrist, graduated Phi Beta Kappa from City College in New York and received his MD from New York University.